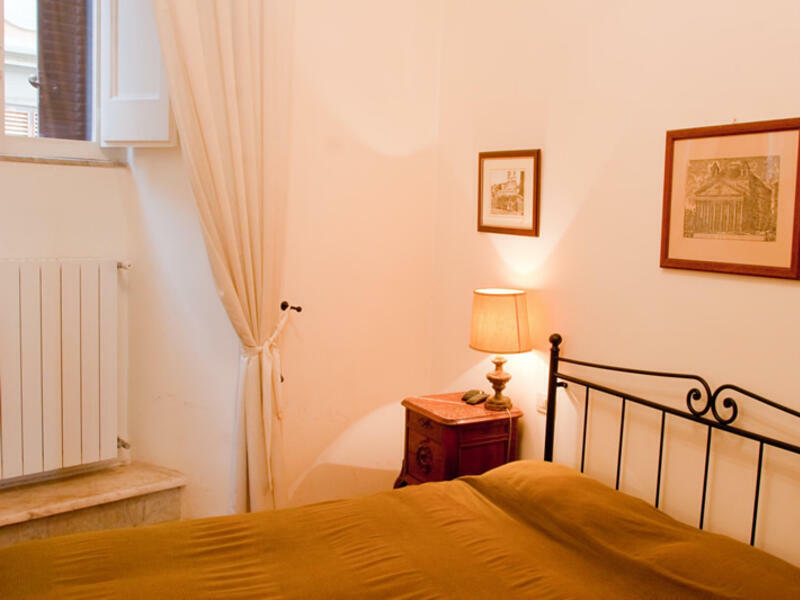 All'Obelisco is a small bed and breakfast located in a central area of Rome, right on top of the famous top of steps that from the Spanish Steps lead you to the Trinita dei Monti. Housed in an elegant building of the late '800´s, the apartment has been recently renovated and allows you to enjoy a wonderful view over the Spanish Square, Piazza Trinita dei Monti and Via Gregoriana. 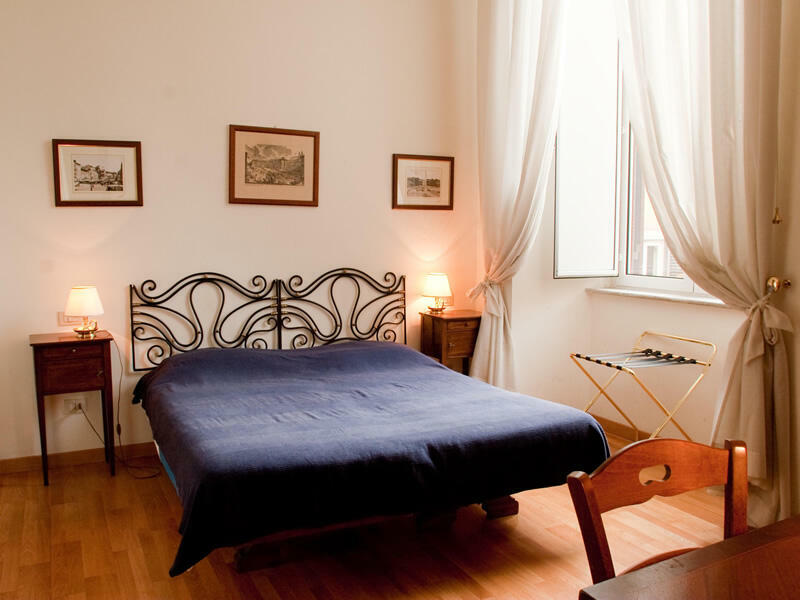 The B & B is named after the obelisk "Sallustian" built at the end of 700 by Pope Pius IX in the top of the stairs, in front of the Church of the Sacred Heart, from where you can admire the splendid panorama of Rome. Its location allows you to walk to museums and archaeological sites and the main shopping streets. In less than 5 minutes walk you can get to Spanish Square, Trevi Fountain, Piazza Barberini, Via del Corso, Via Condotti as well as dozens of restaurants of all kinds. Also in less than 5 minutes walk away, you can reach the theatre Sistine, Sala Umberto, Quirino, Bagaglino and many movie theatres. The metro stop (Line "A" - "Spain") is only 50 m away while the taxi station is 20 m away in Piazza della Trinita dei Monti. There are also many bus lines passing along the adjacent streets, connecting easily the B & B with any area of the city. 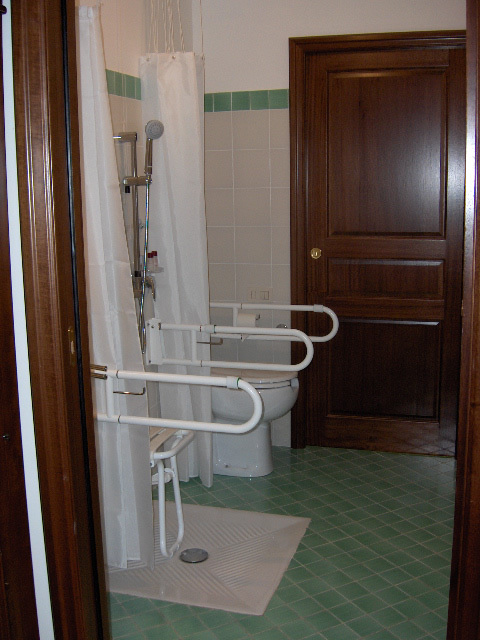 The hotel is accessible for disabled people, for who are available special services. 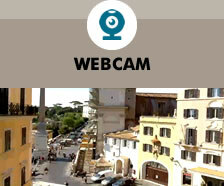 The B&B is authorized by the Municipality of Rome (aut. QA 15451 del 30/12/1999). Rooms are available from 12noon and must be vacated by 10am. 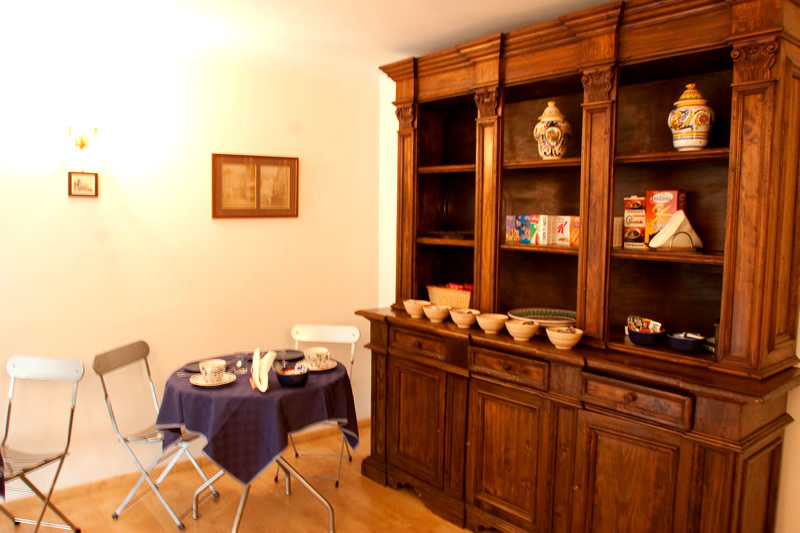 The rooms of the B & B "All'Obelisco" are well cared for with simple and elegant furnishing. The facilities are equipped with single, double and twin rooms, all with windows overlooking the Piazza di Spagna or Via Gregoriana. The rooms are equipped with private bathrooms with direct access, HD TV 26 "with international Sky. The heating and air conditioning works independently, with an individual remote control for each room. Internet wireless service is provided throughout the B&B in all rooms, in addition to an available land connection. Those who wish to access the Internet but do not have their own PC, can use the fixed computer station located in the communal area. 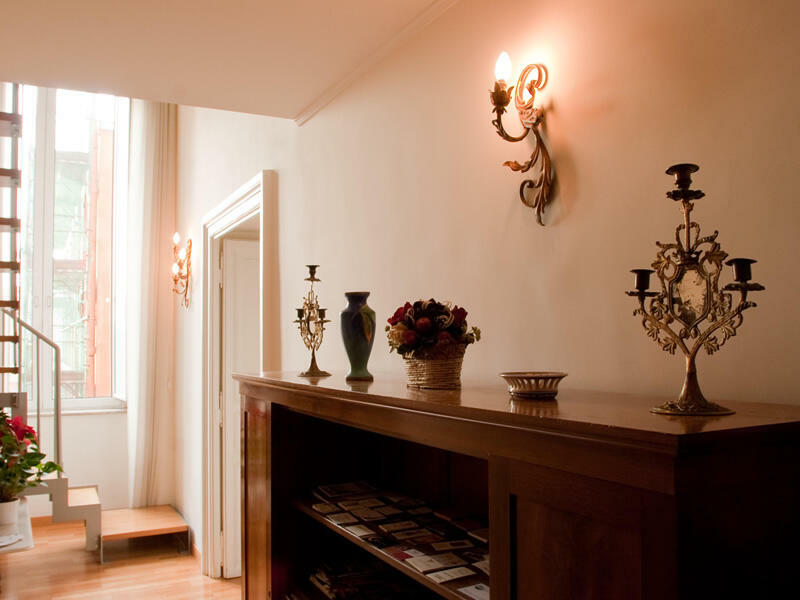 All'Obelisco B & B is 50 meters from the "Spagna" Metro station (Line A) and it is therefore easily accessible from the railway station Roma Termini (3 stops), from Fiumicino and Ciampino Airport. The taxi station is in front of the B&B´s palace. Many bus lines stop is about 250 m from us in Piazza Barberini and Via del Tritone. Take the Leonardo Express train which departs every half hour from the airport to Termini station (it costs approximately 14 euro), then take the Metro Line A to the station "Spagna". Before exiting the tunnel of the Metro station, on the left, there is an elevator that leads to Piazza Trinita dei Monti. Cross the square to the building on the corner of Via Gregoriana, the number is 25. Alternatively we can take care of your transfer at a charge depending on the number of passengers and luggage (From 50 to 90 euros). A standard taxi charges a fare of about 48 euros. Take the coach Cotral at the airport and get of at the Metro Station Anagnina. Then take the Metro to the Spanish Square. Before exiting the tunnel of the Metro station, on the left, there is an elevator that leads you to Piazza Trinita dei Monti. Cross the square to the building on the corner of Via Gregoriana, the number is 25. Terravision also provides a Coach service and it goes straight from the airport to Termini station (timetables and fares available on the site www.terravision.eu). Alternatively we can take care of your transfer at a variable charge depending on the number of passengers and luggage (From 50 to 90 euros). A standard taxi charges a fare of about 35 euros. Take the Metro Line A to Piazza di Spagna. Before exiting the tunnel of the Metro station, on the left, there is an elevator that leads to Piazza Trinita dei Monti. Cross the square to the building on the corner of Via Gregoriana, the number is 25. Alternatively we can take care of your transfer at a variable charge depending on the number of passengers and luggage (35 to 50 euros). A standard taxi charges a fare of about 10-12 euros. The apartment is within the Limited Traffic Zone (ZTL), in which you can enter only after 18:00 and on Sundays. The car can be left at the Parking Ludovisi (Via Ludovisi 60) about 300 m from the B & B. The cost is 18 euro/24 hours.